Nick has pioneered sustainable venturing ideas and initiatives around the world for over three decades. He’s currently Chairman of Parker Venture Management Inc. through which he makes catalytic investments (presently in solar fintech and analytics) and provides strategic advisory services, particularly to private wealth holders. Nicholas is also Founding Managing Partner of Global Acceleration Partners Inc.(“GAP”) a financial enterprise accelerating cross-border deployment of technologies and business models into emerging economies, especially China, to achieve “exponential impact” against major sustainability challenges..
Nick coined and introduced the “cleantech” concept to the finance and business community in 2002 while launching Cleantech Group (“CTG”), a market-leading research and advisory company that he chaired until the end of 2013. Under his leadership as “Mr. Cleantech”, CTG helped create a global ecosystem, mobilized over $6B in private equity and convened thousands of decision-makers, while serving influential enterprises, agencies and institutions in Asia, Europe, the Middle East and North America. In this role, he spoke at hundreds of top events and was regularly featured in most major media. Before setting up GAP in 2014, Nick was Chair of Corporate Knights (“CK”), the award-winning media and financial research company for clean capitalism, best known for the Global 100 rankings launched annually at the World Economic Forum in Davos. During this period, he was also founding Chair and founding CEO of WaterTAP, a statecorporation established to promote water technology, finance and policy innovation.. Prior to starting CTG, Nick accumulated over 15 years’ experience forming and investing funds worldwide through limited partnerships, family offices, corporate funds, endowments and public-private partnerships. During this time, he initiated the first trans-Atlantic "sustainability" private equity fund, the first pan-Asian fund, the first cross-border India fund and participated in the second ever solar IPO on NASDAQ. In the 1990s, he built and sold one of the first environmental finance firms, including advising the EU, UN and WBCSD on capital markets and technology, as well as helpinglaunch several of southern Africa’s first PE/VC funds. 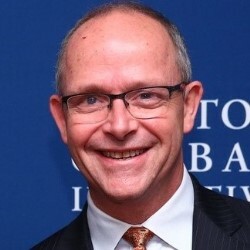 In recent years, Nick’s contribution to advisory boards includes the Singapore Economic Development Board, Ontario Premier’s Climate Change Advisory Panel, Centre of Excellence forCommercialization of Research and the Clinton Global Initiative where he was principal energy and climate advisor. From 2003-08, he was pro bono Chair of E+Co, the award-winning impact investment company for clean energy enterprises in frontier markets. Nick is currently a Distinguished Fellow of the Asia-Pacific Foundation of Canada and a Board Member of the Centre for Mindfulness Studies. Nick earned a BA Tech, Hons. (Carleton University, Ottawa) and an MBA in International Business (City University, London). He has lived and worked in Africa, Asia, Europe and North America while currently residing in Toronto. He’s authored or edited many publications and articles related to cleantech, finance and international business, starting with Investing in Emerging Economies in 1993, co-published by The Economist and the International Finance Corporation. Nick’s a keen swimmer, soccer fan, outdoor enthusiast and happy parent.